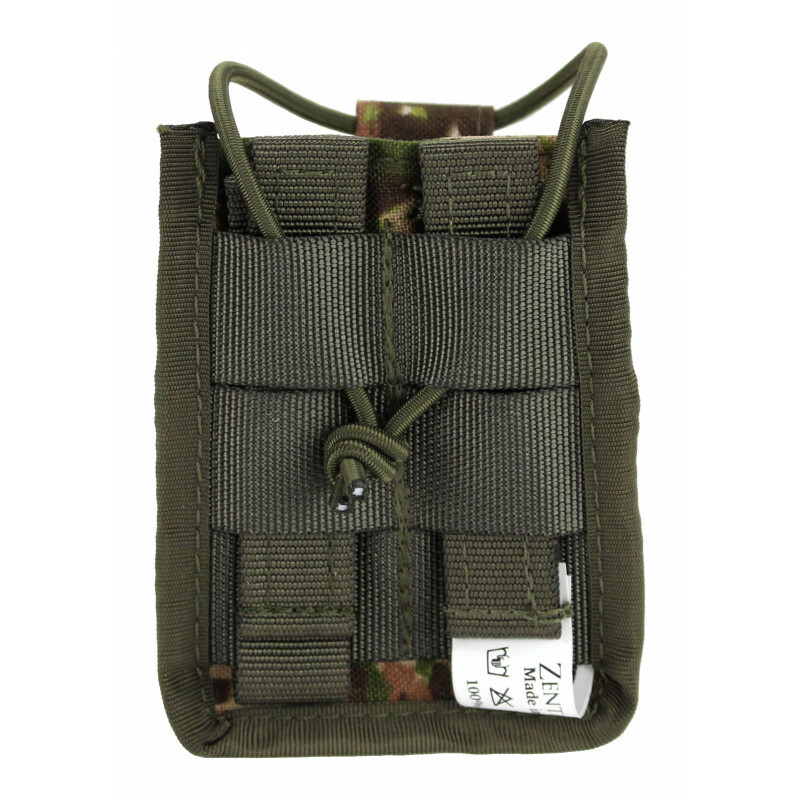 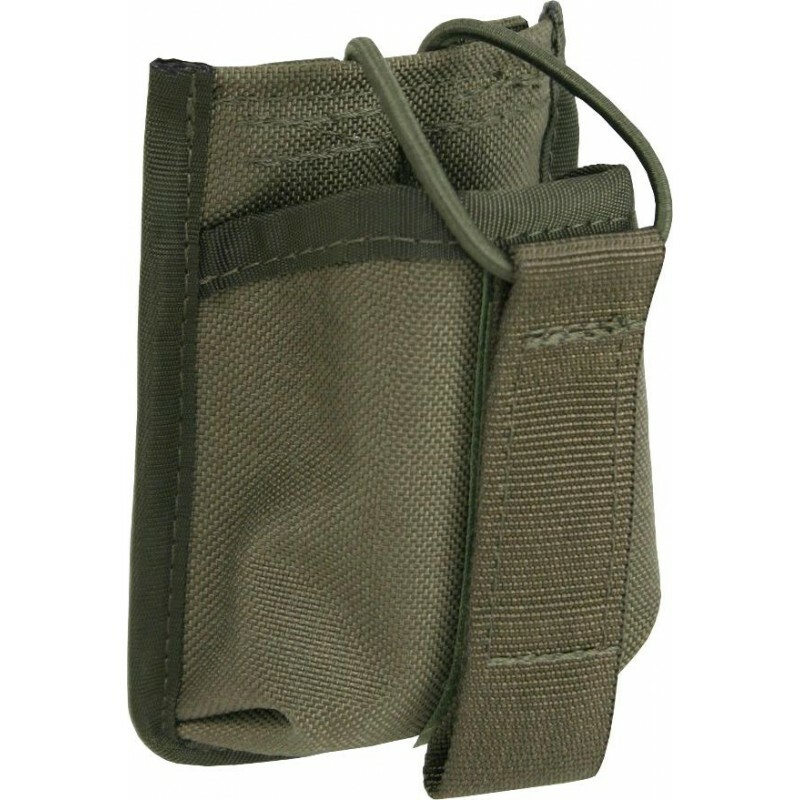 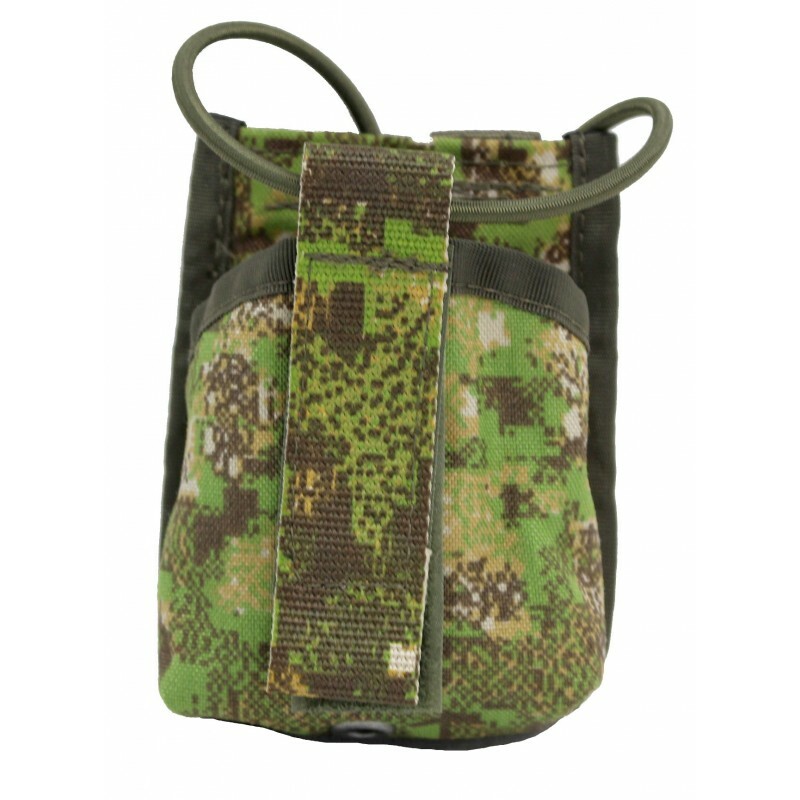 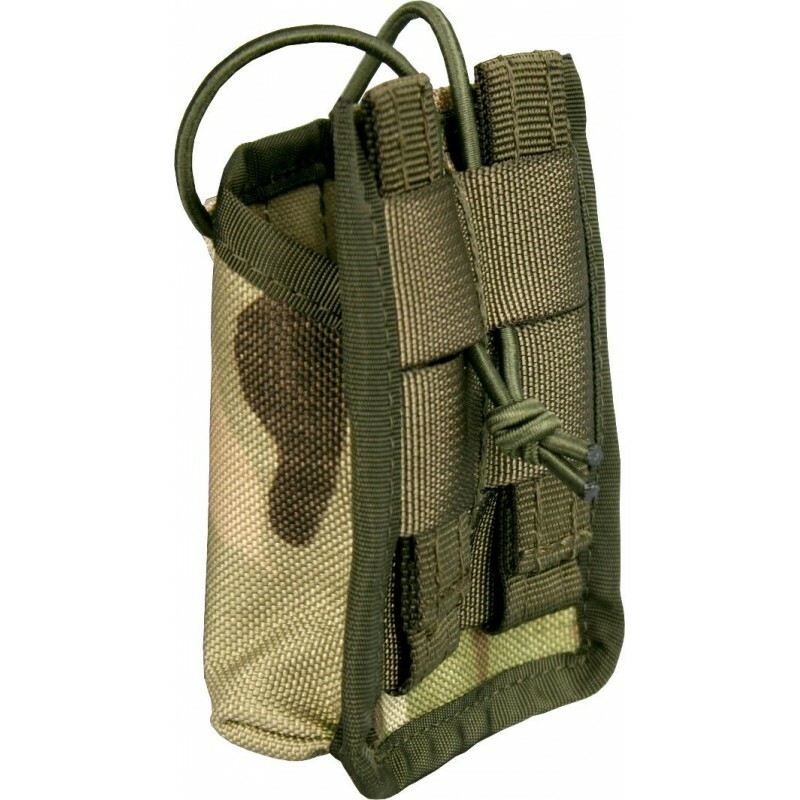 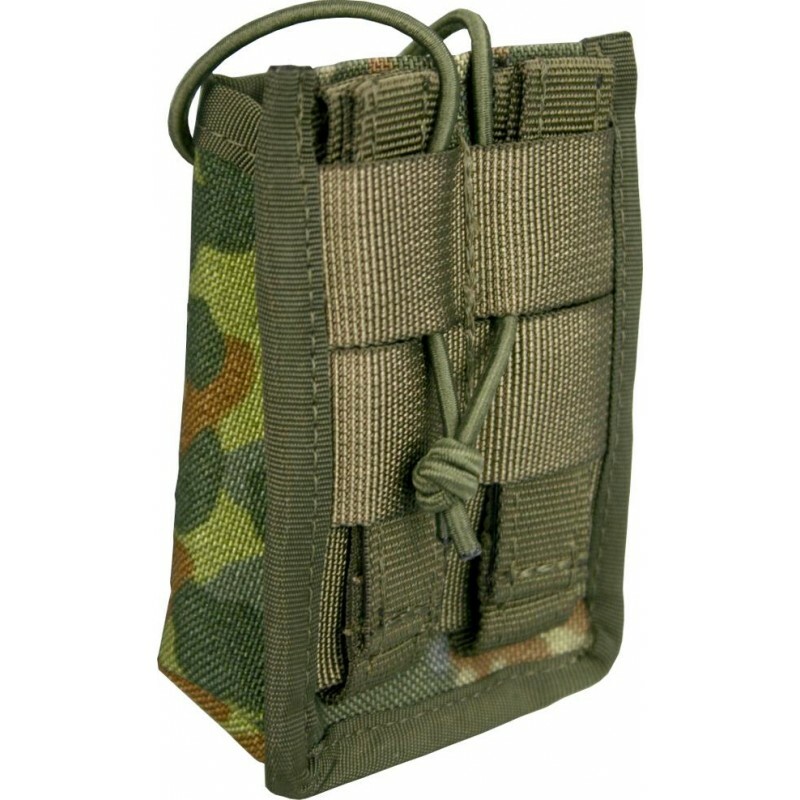 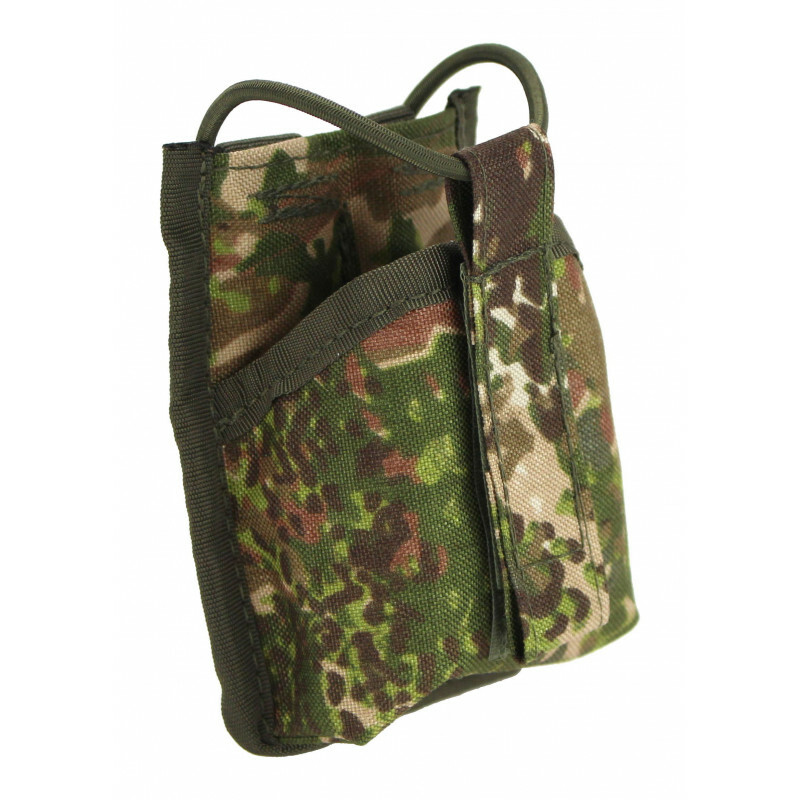 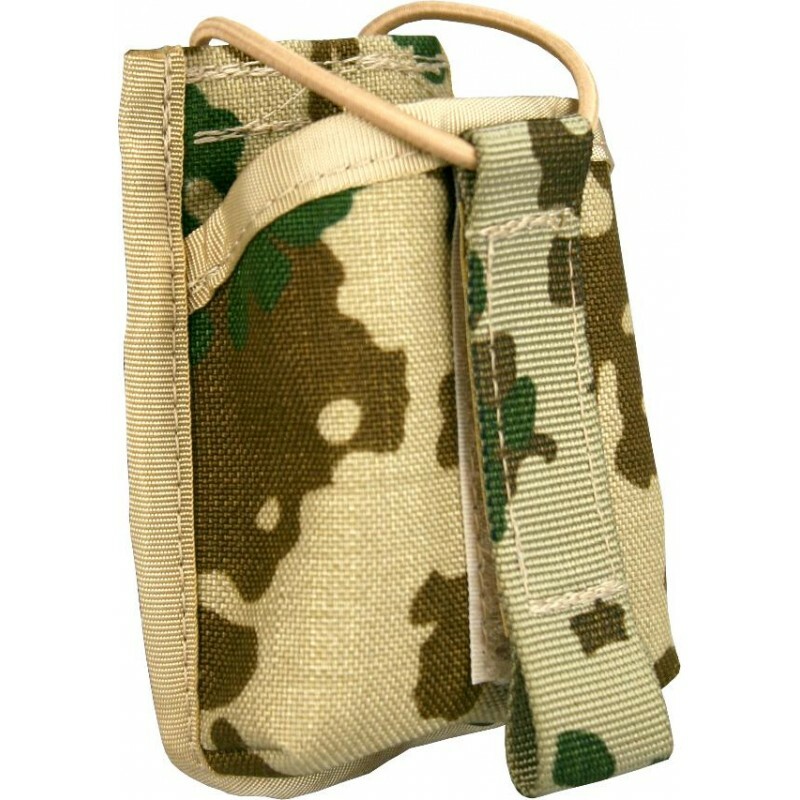 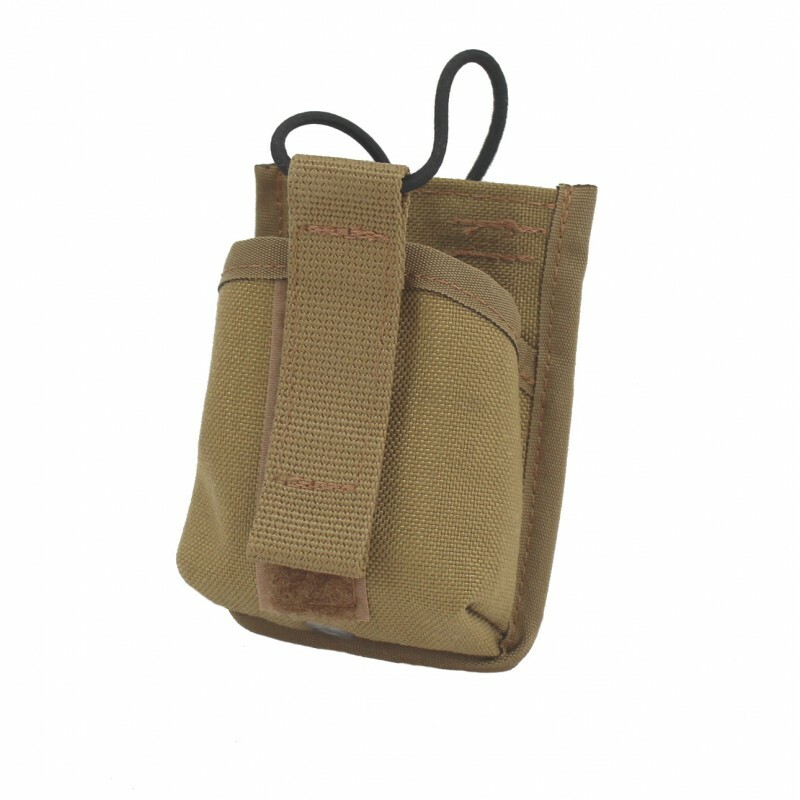 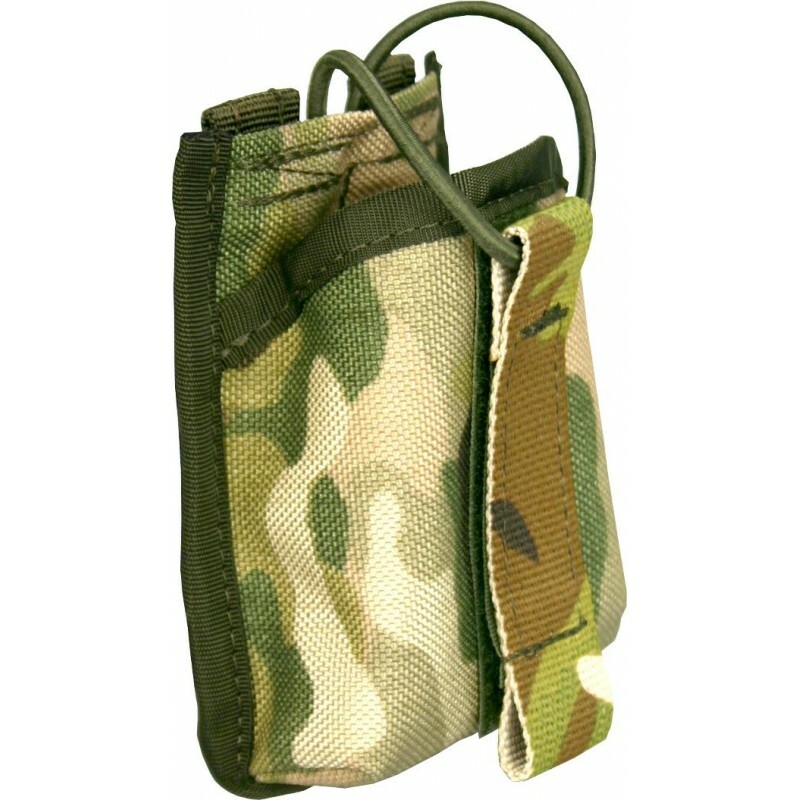 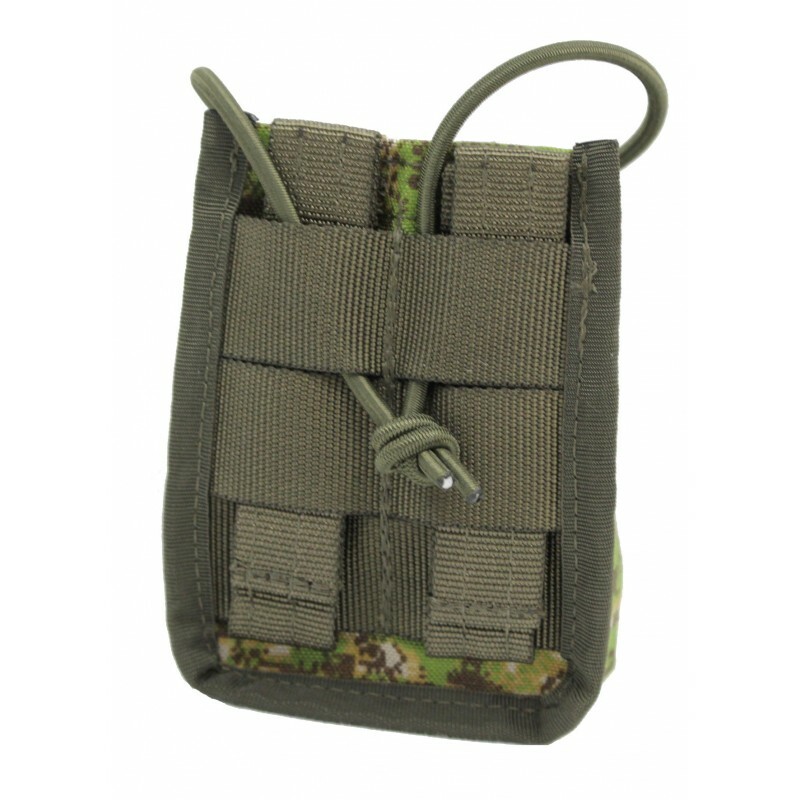 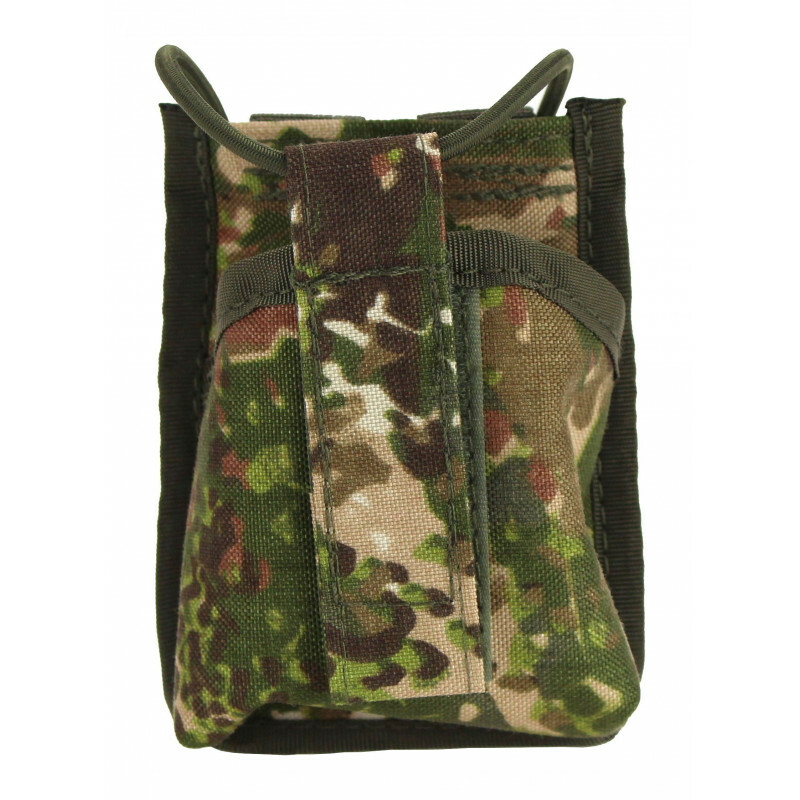 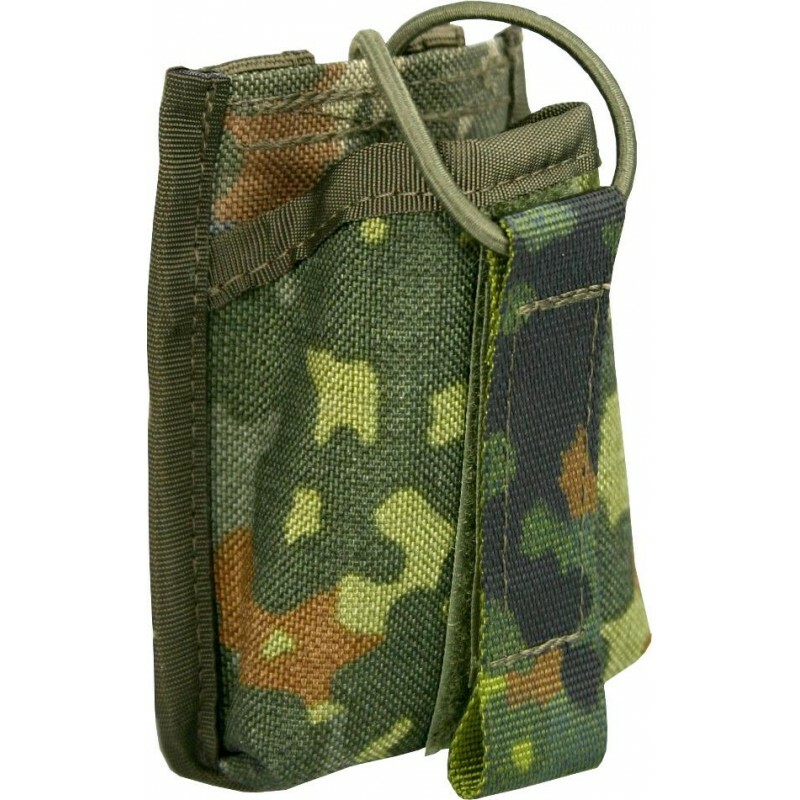 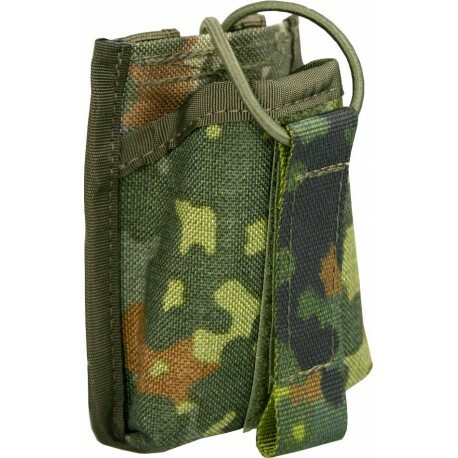 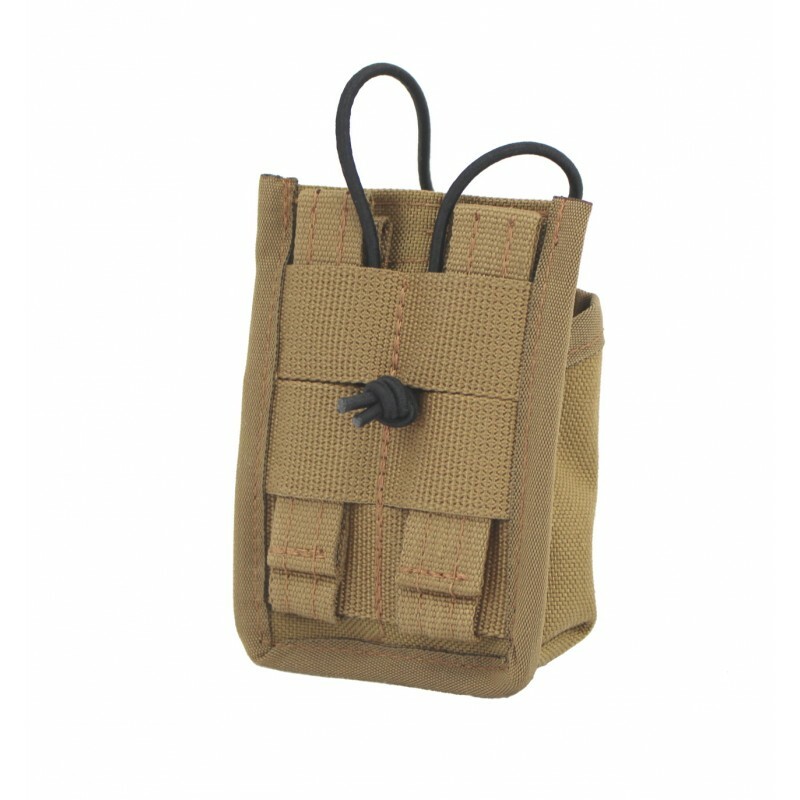 This pouch takes all standard PMR, LPD and some BOS handheld transceivers up to 11 cm height. 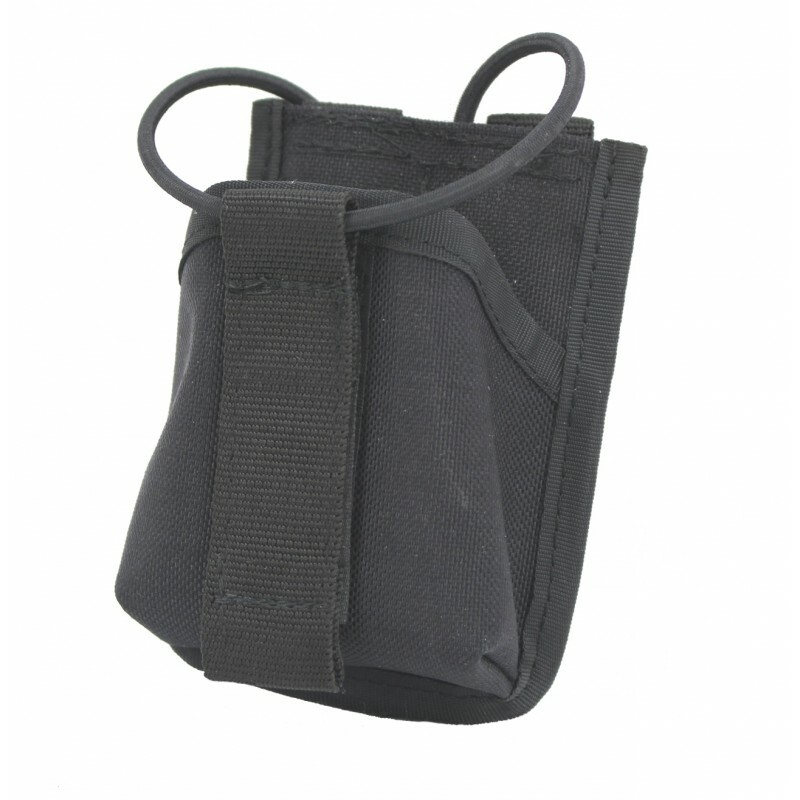 The pouch is closed with a velcro closure, which is attached to an adjustable rubber cord. 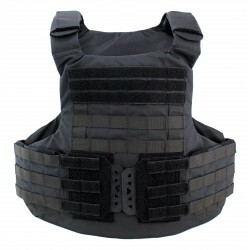 At the bottom you can find a water outlet eyelet. 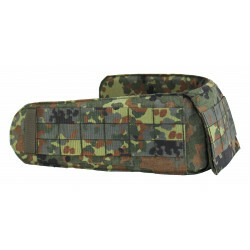 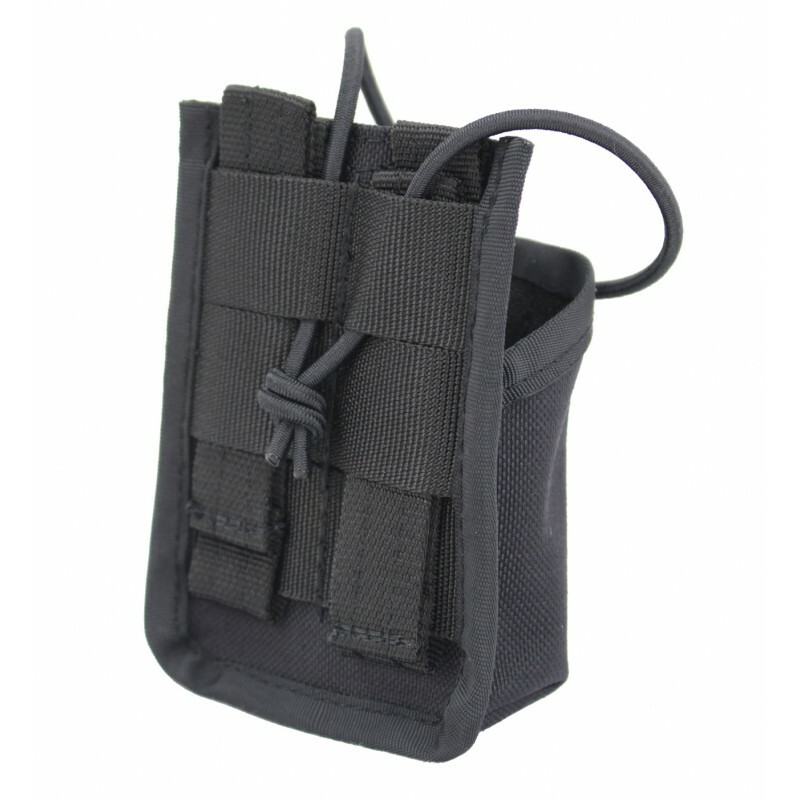 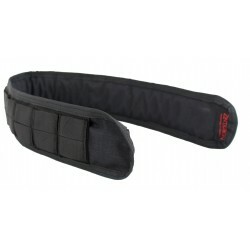 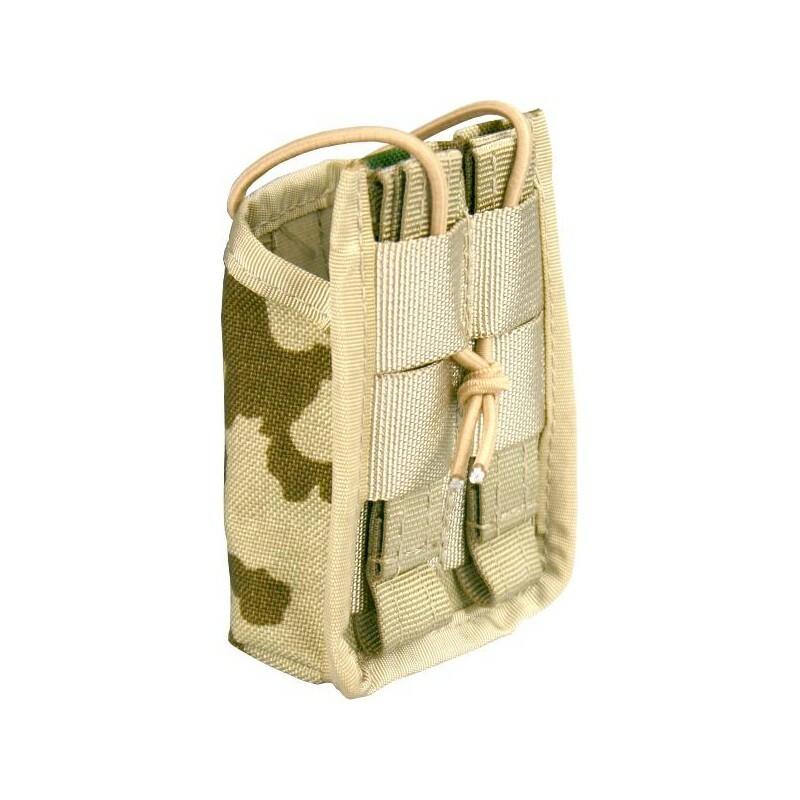 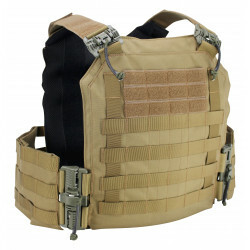 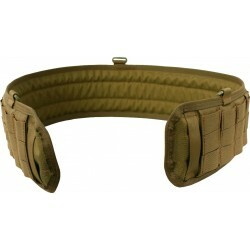 With 2 faststicks you can attach this pouch to all standard modular systems, body armor or belts.